Japanese maples (Acer palmatum) are a beautiful ornamental tree or shrub that is found in many gardens. There are hundreds of different varieties available with different sizes, leaf colors and shapes. Some of these varieties are hard to find or are very expensive due to their slow growth habit. 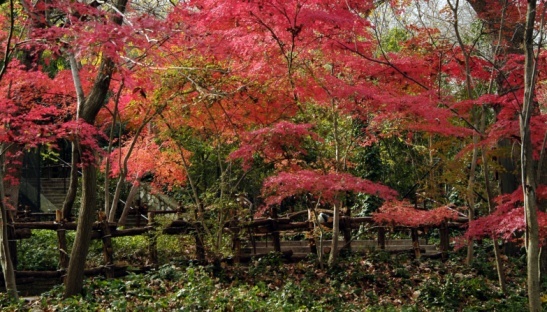 Fortunately, home gardeners can clone their favorite Japanese maples by taking cuttings. A cutting is a short portion of twig that has been removed from the parent plant and rooted in a separate pot. They will grow into full sized plants and be exact genetic clones of the parent. Select the current year's growth on the mother Japanese maple for the cuttings. Late spring to early summer is the best time to take the cuttings. The twigs should snap cleanly when bent. If they bend and do not snap, then they need a little more time before cutting. Select healthy growing twigs and avoid overly vigorous or sickly ones. Cut the twigs about 4 to 6 inches long with a sharp knife. Make the cut at a slight angle right below a node or area where leaves sprout out. Each piece should have several sets of leaves. Mix one part peat moss and one part perlite and fill the pot to the top. Gently firm up the soil so that it is about a quarter of an inch below the rim. Small pots about 2 inches across work well. If you need a lot of clones, you can use a nursery tray with cell inserts like the ones used for bedding plants. Water the pot and let it drain for several minutes until it stops dripping out of the bottom. This settles the soil and allows planting holes to be created. Poke a hole about 2 inches deep into the center of the pot with a pencil. Strip all but one or two leaves off of each twig, leaving the top ones intact. Dip the cut end of the twig into the rooting compound. Rooting compounds can be found in almost all garden centers and usually contain some plant growth hormones for root stimulation and anti-fungal agents to help prevent rotting. They are often available in both liquid and powder form; both will work. Insert the twig into the hole in the soil and firm the soil around it so that the twig stands upright. Water the soil and let it drain out of the bottom. This helps the soil settle in around the twig. Wrap the entire pot in a clear plastic bag, forming a small makeshift greenhouse to hold in the moisture. Place the pot in a warm area with bright indirect light, but not in direct sun. The cuttings should root in three to six weeks and show signs of growth at the top. Remove the plastic bag and let the newly rooted clones establish themselves for a week or two before repotting them in larger pots to grow out. After repotting they should be moved to a shady protected area, such as a covered patio, to grow for a season or two before planting them in the ground. Brian Albert has been in the publishing industry since 1999. He is an expert in horticulture, with a focus on aquatics and tropical plants like orchids. He has successfully run an aquatic plant business for over five years. Albert's writing experience includes the Greater Portland Aquarium Society newsletter and politics coverage for a variety of online journals. 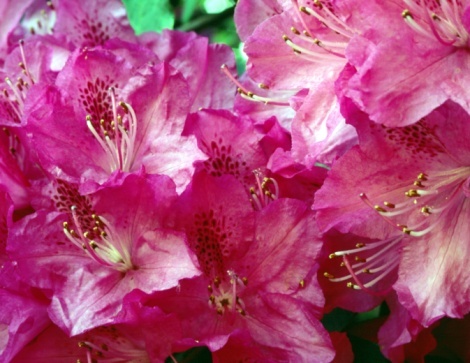 Can You Root Azaleas in Water?